Dennis Wolter joined the St. Petersburg office of FRSCPA, PLLC as a Staff Accountant in June of 2017. Originally from the Cleveland area, Dennis relocated to the Tampa Bay area in 2010. 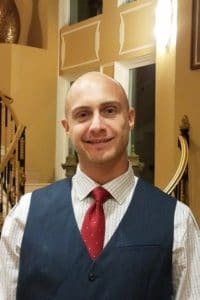 He is a graduate of Cleveland State University with his Masters in Business Administration, and is currently in the process of obtaining his degree in Accounting from the University of South Florida. Dennis is currently focused on his educational goals, but enjoys an occasional game of beach volleyball when time permits. PreviousPrevious post:2017 National Franchise Consultants & Accountants MeetingNextNext post:IT’S A GO! – BBV 2020 IS HERE!